Business Portfolio blogger template is a professional parallax theme having fully responsive layout developed for business Entrepreneur. Business Portfolio blogger template is a professional parallax theme having fully responsive layout developed for business Marketers. 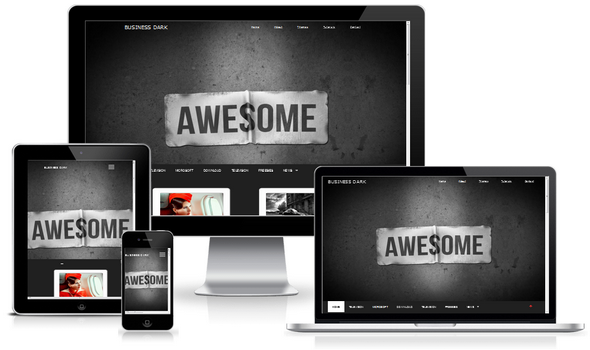 This template has clean simple interface available in three different visual interfaces with sleek design. Business and Entrepreneur’s favorite theme to attract amazing audience. The first responsive magazine blogger template which has been solely developed for business and online marketers. In, short this theme can be used for both commercial and personal blog/site. 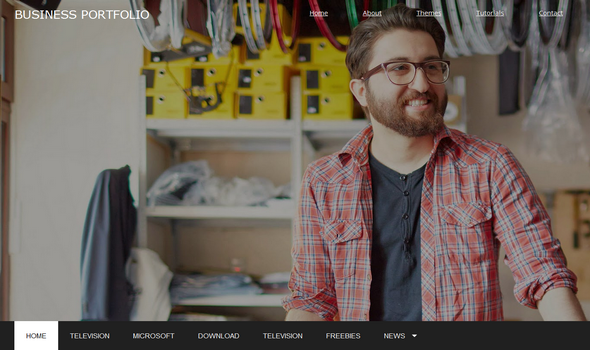 Note: This Business Blogger Template is available in three different separate layout xml files. So you can choose the desire one which suites your website design. 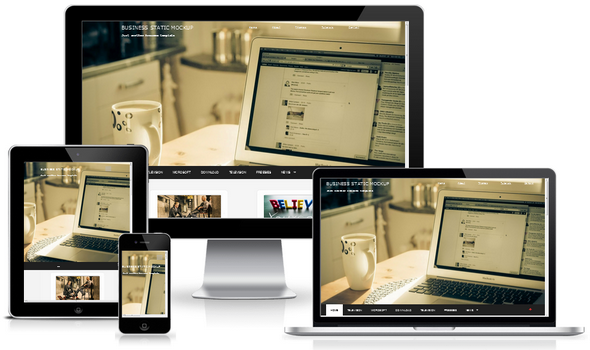 100% Responsive Mobile Layout: We always bring responsiveness in our themes. Like our previous Organic Blogger Template.This template is more mobile friendly and give equally resolution on any device from desktop, tablet, mobile and all mini devices. You, do not need to worry about its responsiveness. Portfolio Blogger Layouts: Since, this blogger template is available in 3 different interfaces like modern portfolio theme. All these templates have equally functionality and same gadgets except the few designs parts. The three templates are describe here only be title. Browser Comparability: Perfect browser compaible theme like Iconmag Theme. You do not need to worry about its compatibility because This is our main goal to load the theme on any browser like, Mozilla, chrome, latest internet explorer and mobiles browsers. Just let us know, if you found related issue in your website. Ads Ready: Since, this theme is solely ads ready similar to HippoMag Theme for increasing your adsense revenue. An automatic ad slot has been installed below the body post layout. So you can easily put your advertisement banner, coding from blogger dashboard layout. Just open the ads widget past the desire coding and save it. Sticky Navigation Menu: Being a professional design, we have added a cool sticky Navigation menu in the template header. This menu would automatically scrolling down along scrolling the site. So this would help to visible the navigation to your readers while scrolling the site. Load Faster: Business Template is more faster than all our previous released templates. Like Magazine Theme, This template is lightweight and load faster on any browsers. Pure-CSS Style: Business Portfolio is coded very neatly as compared to Organic Template. Its interface is much smooth and clean than most of our previous released templates. Bullets Label: Do you want unique design for labels ? Since, in this template you will get professional bullet like labels that would showing on both sidebar and below post body. Related Post Thumbnail: Related post widget is indeed a necessary tool for successful blog. This would help to stay your readers on site for long duration. So, here we have integrated a cool thumbnail related post widget that would display your related posts below at the bottom of post. We are really Hoping to say, that you have found business responsive blogger template very helpful for your upcoming site. We have integrated all possible widgets inside the template. Since, if we miss any professional widget or design parts. Kindly let us know through comments, we will get back soon to your response within 24 hours.